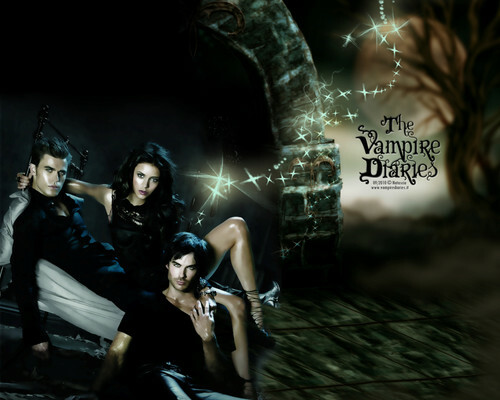 ♥ THE VAMPIRE DIARIES ♥. . HD Wallpaper and background images in the द वैंपायर डायरीज़ club tagged: vampire diaries damon damon salvatore elena elena gilbert stefan stefan salvatore damon & elena tvd. This द वैंपायर डायरीज़ wallpaper contains सड़क, शहर के दृश्य, शहरी सेटिंग, शहर दृश्य, and शहरी की स्थापना.